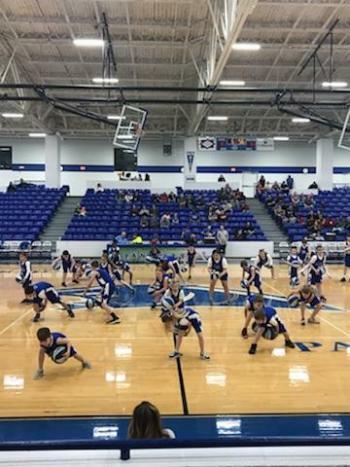 Last night, Eastside’s Lil Dribblers team performed to “The Greatest Show” at the Junior High Basketball game. 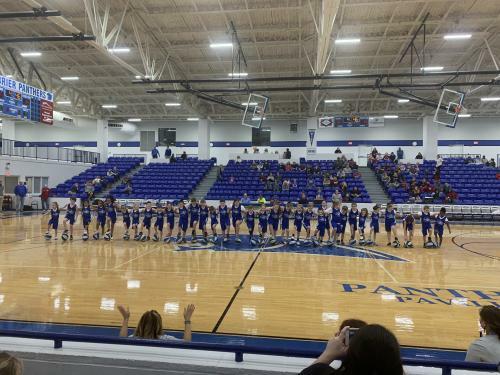 They have been practicing for this new routine and knocked it out of the park! It was a wonderful performance and went right along with Eastside’s theme this year of being The Greatest School. This team is led by Coach Winn, Mrs. Havens, and Ms. Newkirk and they practice after school to be ready for these performances. The team is over 40 of our 1-5 graders, many being return members. 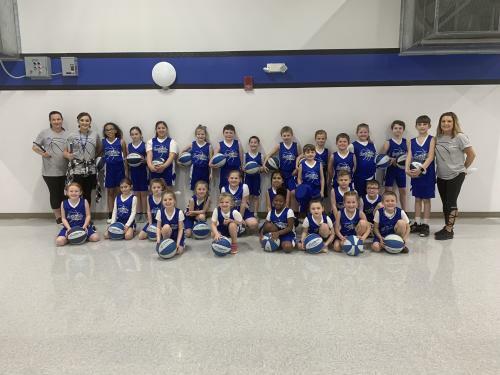 We are thankful for the leadership of this group of students and staff who provide such a fun way to exercise and show off their basketball skills! For a video of the performance be sure to check out Greenbrier Eastside’s Facebook page! Some photos of the night are below. 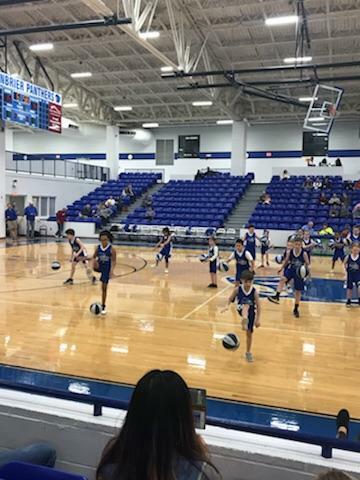 Our Lil Dribblers still have some performances left, so come out and support our team and the Greenbrier Panthers Basketball teams! The next performance is February 22 @ 7pm!